Fit almost all bikes from 1966-1984..not 72-74 but 1975 with slight mod. New oversize stainless steel foot pegs. Never have your feet slip off the pegs again! 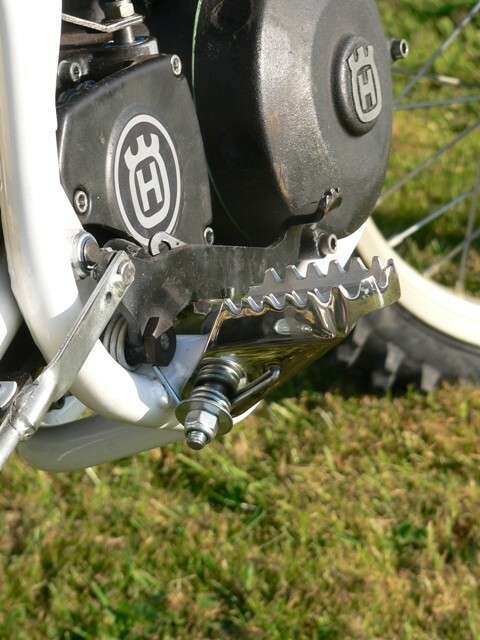 The best pegs on the market today for vintage Husqvarna motorcycles. Custom made for HVA-FACTORY, these footrests are cast from Stainless Steel and polished. They use the standard spring. 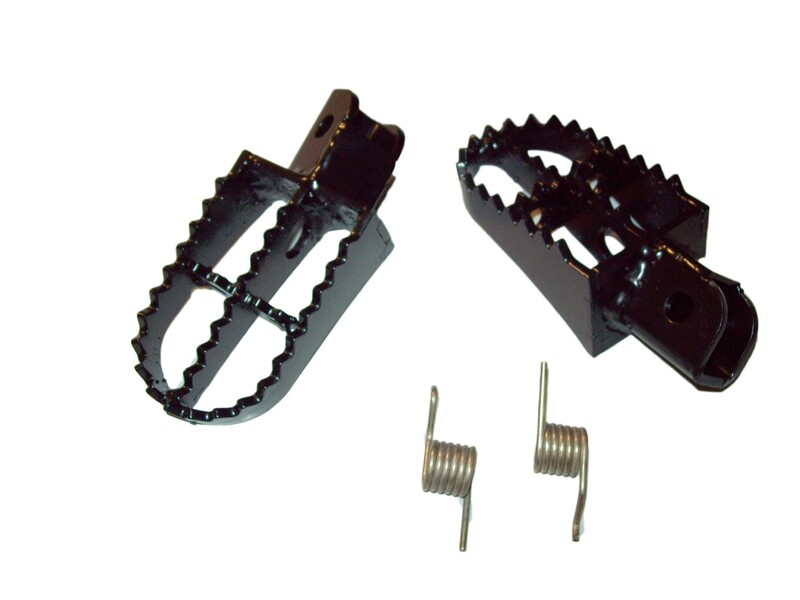 A fitting kit (shown) with the correct bolts / spacers / washers and a pair of springs is also included. I have been told these pegs are a direct bolt on for the 74-82 Can Am models as well. 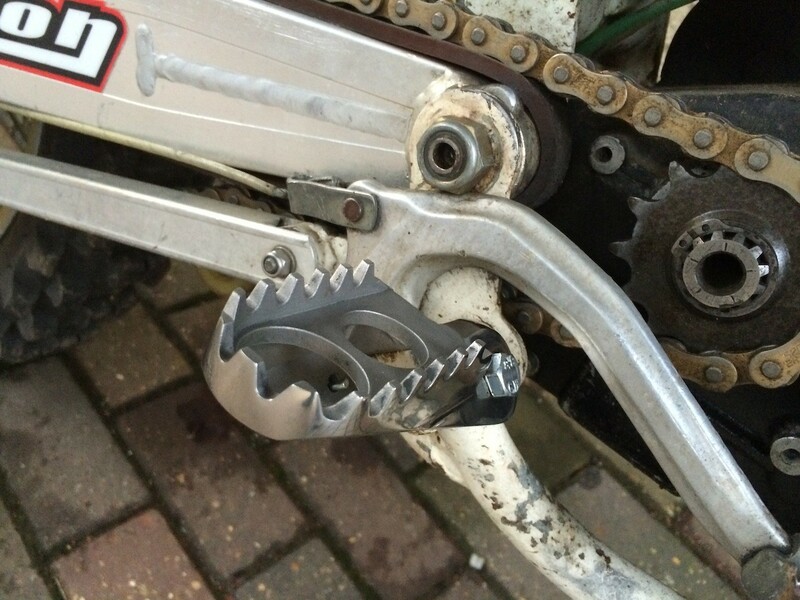 New oversize vintage yz foot pegs. Cut from steel and then precision welded. Never have your feet slip off the pegs again. These are powder coated black. Springs are included. New oversize vintage rm foot pegs. Cut from steel and then precision welded. Never have your feet slip off the pegs again. These are painted black. Springs are included. You may have to touch up the paint when you receive them. They rattle around in the shipping container a bit which can cause nicks in the paint. 8mm pin holes. 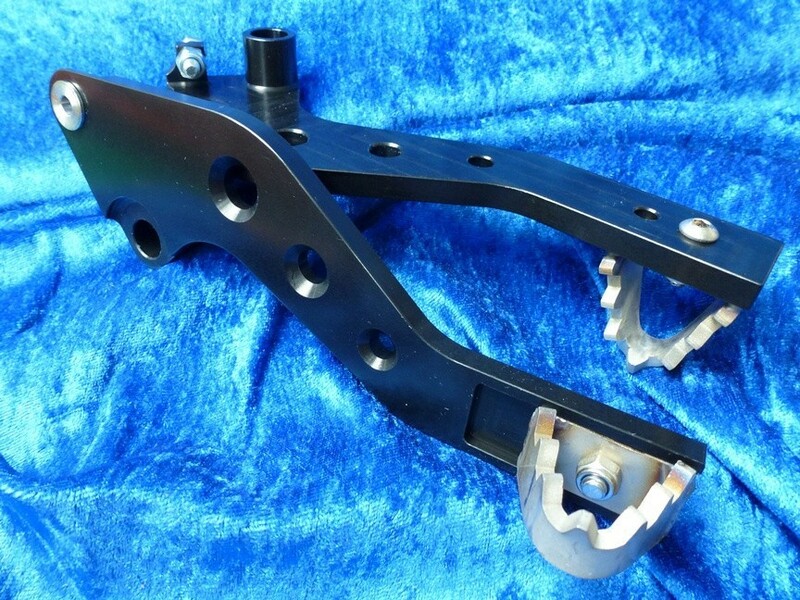 HVA Factory brake pedal. Will fit the 1983 and 1984 WR & XC 2 stroke models. Also fits all 1983 and 1984 4 stroke models. You can fit it on a CR model as well, but you will need the accessory 635mm stainless brake rod to make it work. We sell those as well. Made of billet aluminum to compliment the HVA Factory foot pegs. This includes the pivot bushing as well. Features a replaceable and adjustable brake tip for the perfect pedal. Fits the 1985-1989 single shock models. Universal weld-on design. Added strength and width to enhance riding. 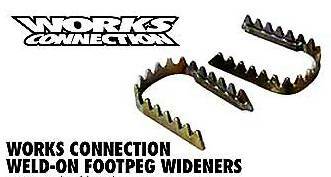 Adds 1/2" width to your stock foot pegs. Made in the USA. Available in many sizes.